SVL Celebrates 50 Years in the HVAC Industry! SVL proudly celebrated 50 years of past and present success on September 25th (Fargo office) and September 26th (Roseville office). 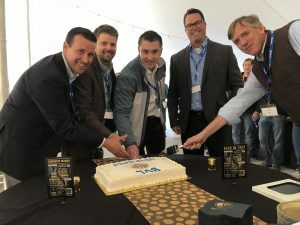 Employees, friends, family, customers, and manufacturers joined SVL for their golden anniversary. SVL was started in February 1967 by Charles Schwab and Craig Vollhaber. Schwab-Vollhaber, Inc. (as it was named at the time) steadily grew and in 1985 welcomed Paul Lubratt as another partner, becoming Schwab-Vollhaber-Lubratt, Inc. (SVL). SVL’s founders had the determination to build the largest, most talented HVAC outlet in the Midwest. Their original drive and passion still shapes the company and culture to this day. The 50th Anniversary events were held at both new office locations and provided guests an opportunity to see the new buildings. Both events featured delicious food & drink, great music, and lots of friendly faces. 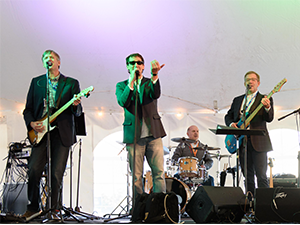 The Roseville celebration enjoyed opening to the music of the SVL house band, Latent Heat, featuring 3 SVL employees. Additionally, the events featured live music and dancing as well as a slideshow with pictures of SVL throughout the years. Craig Vollhaber gave a moving speech highlighting SVL’s growth throughout the years as well as his tremendous gratitude for his former partners, Charles and Paul. The achievements of an organization are the results of the combined efforts of every individual. Now, 50 years later, SVL is under the leadership of three new principals who share the same vision and drive that has propelled SVL throughout the years. 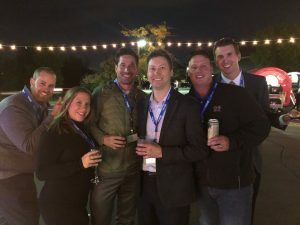 Built on a foundation of integrity, Todd Vollhaber, Jim Lubratt and Matt Holland strive to ensure opportunities for personal growth, improved work environment and shared life enrichment. The achievements of an organization are the results of the combined efforts of every individual. 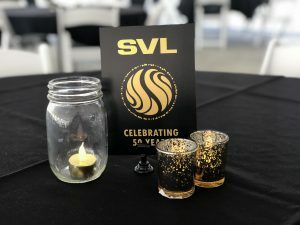 Happy 50th Anniversary SVL! 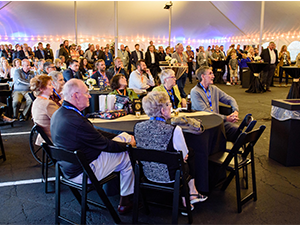 https://www.svl.com/wp-content/uploads/2018/10/SVL-50th-Anniversary-Roseville-Tent.png 225 300 Richelle Fermanich https://www.svl.com/wp-content/uploads/2018/06/SVL_Websafe_Logo_small-1.png Richelle Fermanich2018-10-03 14:10:192018-10-04 08:21:24SVL Celebrates 50 Years in the HVAC Industry!